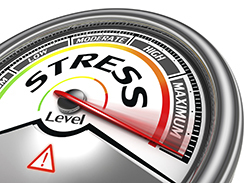 Have you noticed that every single day, a plethora of blogs, articles, syndicated radio and television shows, medical journal entries, and other information is published all focusing on the one topic of stress? It blows my mind that stress is the sniper hiding behind most of your doctors’ diagnosis of disease, yet there really haven’t been a lot of remedies out there that make a true difference. That’s why we are so pleased with what we’re hearing from you about how Wholetones frequency healing music is impacting your lives. Years ago, my wife, Lillian, had an amazing dream. In the dream, Lillian was swimming in the ocean when all of a sudden, the sky turned black and a huge tsunami wave was heading her way. Lillian looked to her right and saw a little girl who had gotten separated from her parents. Lillian quickly grabbed the little girl, but the wave was coming in so fast she couldn’t get to the shore before it hit. Suddenly, Lillian heard a voice say, “go under the wave.” So Lillian and the little girl dove deep beneath the monstrous wave. Much to their surprise, it was quiet, calm, and peaceful, and they could breathe … underwater! There is a priceless truth embedded in this dream. When the storm is screaming and the odds are heavily stacked against you, go under. Those of us who are very driven tend to see everything as a mountain to climb, another battle to fight, etc. One of my favorite scriptures is James 4:10, “Humble yourselves before the Lord, and he will lift you up.” Sometimes, your over may come by going under. To “humble” one’s self is a most difficult exercise, yet it yields an intoxicating upgrade to the human character. True humility empowers us to go under, lose our selfish pride, and stop demanding our own way or feeling entitled. Believe it or not, Psalm 23 was written on a battlefield. In a fierce skirmish, where David was leading the Israelites in battle, he heard a voice tell him to “lie down.” Yes, sometimes in the heat of the battle, in the midst of the storm, you, too, might hear that same voice tell you to “go under” or “lie down.” It might be the most difficult thing in the world for you to do, but remember, that voice cannot lie. If you humble yourself, He will lift you up. If He exalts you, peace will come. If peace comes, stress goes. If stress goes, healing comes! If I am talking to you today, take a deep breath, quiet your mind, and listen for that still, small voice that knows where you are and what you’re facing. Obedience is greater than sacrifice; humility makes it possible. The ones who always end up on top are the ones who were first willing to go under.